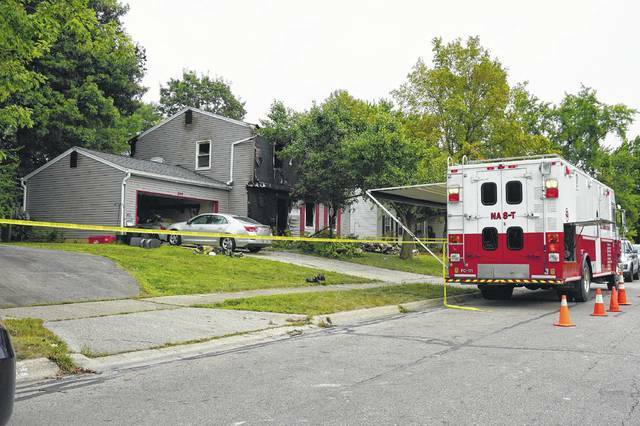 A Westerville teen was killed in an early morning house fire on Friday. Hannah Sarver, 17, was pronounced dead following the fire in the 100 block of Allview Road in the Franklin County portion of the city, according to 10TV-WBNS. Sarver was a Westerville South High School student who also attended the Delaware Area Career Center. DACC officials confirmed Friday that she was a first-year student there. School officials had counselors on hand to talk with students. Westerville South is also providing grief counselors for its students to talk to should they choose to do so, according to Principal Mike Starner. Michelle Sarver, 47, Hannah’s mother, was injured when she jumped from the second floor to escape the blaze. She was transported to Ohio State University Wexner Medical Center. Officials said she is expected to recover from her injuries. The City of Westerville Division of Fire dispatched firefighters to the neighborhood at 5 a.m. Friday. There were four people inside the home at the time of the fire. Two people jumped from the second floor of the house, while the other person exited from the basement. The preliminary investigation suggests the fire started in the kitchen on the first floor of the house. Westerville fire officials said the fire reached the attic and the house was badly damaged. It’s unclear if smoke alarms were operational. Firefighters said no alarms were heard when they arrived on scene. People who knew Hannah Sarver expressed their grief about her death and condolences for her family all day Friday on social media after it was announced that she was the victim of the fatal fire. By late morning, someone had placed flowers near a streetlight across the street from Sarver’s home. Westerville resident Hannah Sarver was killed Friday morning in a house fire in the 100 block of Allview Road, according to 10TV-WBNS. Sarver, 17, was a Westerville South High School student who also attended the Delaware Area Career Center. Hannah Sarver, 17, of Westerville, was killed in the fire Friday morning in the 100 block of Allview Road in the Franklin County portion of the city. Sarver was a student at Westerville South High School and Delaware Area Career Center.